The press has been publishing lists of central defenders that Wenger is including on his wish list now that the BFG will be out for the next 5 months. But I fear that if he spends good money to get a top defender then there will be that less money to get a top striker. For you shouldn't be fooled by what Arsene is saying publicly that we can now enter the market for the top players. I prefer to believe Gazides when he says we can't compete with the big clubs. He holds the purse strings and he is speaking the truth in my opinion. It seems that Arsenal have enough cash to make a big buy a year, more or less. And by paying top money on a new central defender there will be no funds left to buy a top forward which imo is more urgent. The answer that he is likely to turn to is to move Monreal to the centre back position as he has played there before and performed quite well. In this way Gibbs will come into the side in his position at left back. Koscienly is likely to be back to training by the 10th August and probably ready to play soon after. Up to then Gabriel and Monreal will form the central defensive pairing. And Wenger will save the money to get a new striker that the team is crying out for. All this can happen IF AND ONLY IF the money that is saved is properly utilised to get in a top top striker. It's not a surprise that as soon as Higuaín finished a medical pending his move to Juventus Arsenal have moved at lightning speed to bring Mahrez to the Emirates. It seems that Wenger has been waiting to see the outcome of the Higuaín saga and then reassess his options. We have looked at the original source of the Mahrez rumour, Eurosport France, and all they say about their source is ' according to our information'. Now does this carry the same weight of authenticity as say 'Sky Sports understands'? In any case Ladbrokes has slashed the odds on this deal going through from evens to 8/13. I am a skeptic with these rumours appearing in the press without any real authenticity behind them. It's beginning to feel like one of those rare occasions that Arsenal are closing in on a huge transfer. It now looks as though Juventus, who had supposedly entered the race for Higuaín's signature, are now ruling themselves out of it. 'Higuain for us is a distant thing. I hear that Naples likes most of our players but I guarantee that at the moment there are no requests and there are no negotiations.... But the thing about Higuain I see it far away. " This comes after it transpired that Napoli is not willing to let one of their best players strengthen their biggest rival. They would rather sell him outside Serie A. And this leaves the field open for Arsenal and Wenger to zoom in on the negotiating table and finally agree a reasonable price for the player. Local Napoli newspaper Il Matino is reporting that Higuaín will take stock of the situation re Arsenal's offer after his holidays along with his father Jorge and brother Nicolas. However the paper puts it down to two things being satisfied if the deal is to go ahead. The first of course is the asking price. The release clause, which has now expired, is put at 94m euros. However De Laurentiis, the owner, is not budging from it. I think that it is expected that since this is his asking price he is bound to negotiate downwards. If he is willing to negotiate that is. Because there is another issue which hasn't been picked up yet and Il Matino is highlighting. Napoli has to replace such a prolific goal scorer and finding someone who can come close to scoring 36 goals in 35 games is not really easy. And takes time of course. This transfer has a long way to go obviously. But let's hope Wenger sticks to it and carries it through for this is the player Arsenal needs TO WIN THE LEAGUE. It seems the national papers are taking notice of this blog! It was a whole week ago that we here at 'Arsenal Analysis' published a list of all the Arsenal squad players involved in the Euro and Copa America. We also calculated their likely return dates for preseason taking into account the holiday time that Wenger normally gives to his players after such events. Have a look here: http://arsenalanalysis.blogspot.com.cy/2016/07/key-players-already-out-of-first-league.html This article was published a whole week ago but only now have the national papers began publishing similar conclusions as ours. It was clear form the analysis that at least Arsenal's major players like Ozil, Giroud, Koscienly and Ramsey will be out for the first game against Liverpool. The national papers are sensationalising of course when they suggest that Apkom will be the only available striker for this game. He has been told that he will not go out on loan in August but as you will realise Walcott will be fit and available. Not a satisfactory state of affairs but hopefully Higuaín may be on board by then! At last Arsene Wenger is getting his finger out. He has realised that he will soon be left behind by the new coaches/managers in the PL. They have already started recruiting for key positions which will make them far stronger than last season. And if Arsenal are left behind then he runs the risk of leaving the club in shatters in his last season and thus tarnishing his legacy. At least I hope that this is what he is thinking as the apparent generous offer for the transfer of Higuaín to Arsenal indicates so. Arsenal are offering £42.2m plus Olivier Giroud to the Serie A side, but they are willing to go as high as £50m without the Frenchman. This is what journalist Ciro Venerato said at RaiSport. Higuain's salary will be £6.8m-a-year for a four year contract. And Wenger has asked for a meeting next Thursday with Napoli to finalise the transfer... Things are indeed moving fast. If this deal is concluded then it will be a major major statement by Arsene Wenger. He will have brought to the club a prolific goal scorer in a position that we were clearly proved weak. He has scored 36 goals in 35 League appearances for Napoli last season, a one to one ratio! And the title challenge for the coming season will be the strongest in the last decade. 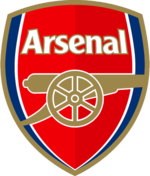 If we take a look at the Arsenal players involved in the Euro we quickly surmise that Arsenal's key players in defence, midfield and attack will definitely be missing from the opening game against Liverpool (currently set for August 13). Players such as Ozil, Koscienly, Ramsey, Giroud, Sanchez, and Xhaka are likely to be missing from the starting line up. And we all know that a winning start to a League campaign is so important for what is to follow. We have here at 'Arsenal Analysis' looked at the Arsenal players that have been involved or are currently involved in the Euro at France and Coppa America. We have then given to most of them a four week holiday as is the norm under these circumstances as Wenger has done in the past. Here is a list of the players and the date each departed or is likely to depart from the relevant competition. We then looked at if they can make it to the first team squad and make themselves available for the game on 13th of August. The first item is the date of last game played. The second the date they return to Arsenal and the third the time left for preseason prior to 1st game. Koscienly 7.7.2016 7.8.2016 3 days!!! If France lose semi! Xhaka 25.6.2016 25.7.2016 2wks 5 days Unlikely to be risked? Ramsey 7.7.2016 7.8.2016 3 days!!! If Wales lose semi! Wilshere 27.6.2016 27.7.2016 2 wks 3days Will not be risked? Sanchez 26.6.2016 26.7.2016 2wks 4 days Will not be risked? Ozil 7.7.2016 7.8.2016 3 days!!! If Germany lose semi! Giroud 7.7.2016 7.8.2016 3 days!!! If France lose semi! Debuchy :Is he coming back? So there you have it. The key players who are likely to be missing from the first game are Koscienly, Xhaka, Ozil, Giroud, Wilshere, Ramsey and Sanchez. Koscienly, Ozil, Giroud and Ramsey are definitely out. Even if they lose their respective semis and assuming a 4 week holiday they will only have 3 days of training before the first game. Worse still they will only return in early September!! Can you imagine a line up for the first month of the new league that will be missing these key players? Surely Wenger will give them a 4 week holiday so as to avoid injuries and burn out later on in the season. If Wenger fails to sign a new forward then expect Walcott to be our main striker! Surely Wenger will not let it come to that. Sanchez will have had 2 weeks and 4 days of pre season. But looking at what happened to his hamstring last season when he returned from the Coppa Wenger is unlikely to make the same mistake and rush him back. The same applies for Wilshere for obvious reasons. Wenger will take it easy with him. Xhaka with a 2 weeks and 5 days of preseason will pose a dilemma for Wenger, but I think he will not risk him, not for the first game. The players that featured with their national teams but are likely to start are Cech and Bellerin. So here is the probable line up against Liverpool assuming of course that any new signings (if there will be any) will not be ready by the 13th of August. It looks really weak to me which makes it imperative for Wenger to sign that forward and defender as soon as possible so that they can be utilised during this early period in the league when most needed. Otherwise we may be playing catch up form as early as August!! !